Farm King Harrows mount to tillage tools with a single, heavy 3" square tube carrier arm. 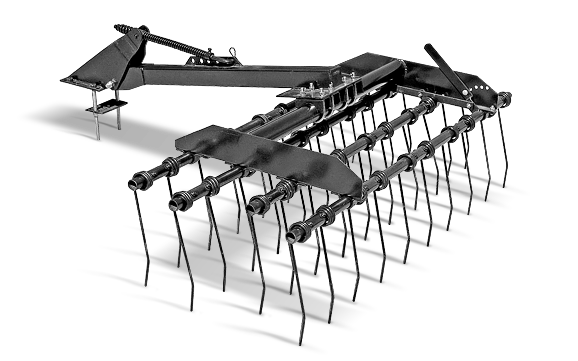 The 3/8" x 16" coil spring lay back teeth can be quickly lever-adjusted to five positions to give you the desired penetration and vibration action for superb weeding / seedbed preparation / residue incorporation and trash clearing. Tines ride over rocks to reduce wear and breakage.